Dead Man's Folly also started as a MISS MARPLE short story called Greenshaw's Folly. Who knew! 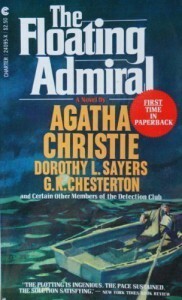 I'm making my way through some of Christie's short stories. This collection has a story called The Dressmaker's Doll, which I just finished and it is so different from her usual stuff! It's basically horror, and who knew that Christie wrote horror? I've been looking forward to sinking into a Phyllis Whitney, and this one is showing a lot of promise, with a plucky, scarred heroine with an explicable fear of caged birds, and a family mansion full of secrets in New Hampshire. I was pretty sure that were a few MacInnes titles that I hadn't read - the difficulty is that I read the bulk of her work so long ago that I can't be sure, unless it's a book that I've reread in the last few years. I had convinced myself that I had read this one - the setting in Greece seemed like something that I would've read, given how appealing I find it. Now that I've finished it, I'm pretty sure that this was my first read. 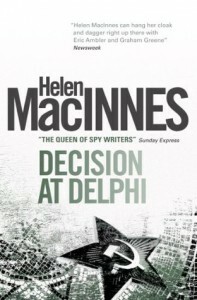 Decision at Delphi is classic MacInnes - the stoically handsome and intensely capable man with a long-past military background who becomes embroiled in a modern plot by extremists to precipitate another conflict, the attractive young woman who is his love interest, who needs protecting but who is also generally brave and capable in her own right, and the Nazis, Communists, Fascists or various other extremists who need thwarting. MacInnes is equal opportunity with her opprobrium, and I always admire the way that she doesn't pick a preference between extremists on the right and extremists on the left, making the valid point that if you go far enough to either end of the political spectrum, you meet in monstrosity. 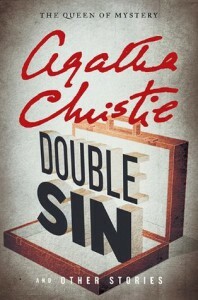 Older espionage books are paced so differently from modern thrillers that they can seem to drag even when the author is carefully building characters and backstory. Decision at Delphi did have that effect on me - the pacing seemed quite slow until I reached the 75% mark, at which point the stakes were increased and the tension really ratcheted into high gear. Nonetheless, as is always the case with MacInnes, I enjoyed this piece of spy fiction and would give it high marks for the mechanics of the plot and the likeability of the characters. In addition, the relationship between Kenneth Strang and Cecilia Hillard felt more modern and equal than many of her relationships, which can feel very regressive and gendered. I'm not really doing Dewey today - but my husband just left to help out a friend, and my son is 19, so I won't see him for hours, and it is pouring this morning. I am therefore going to take this opportunity to hunker down with a cup of coffee, a quilt, and a book. I am with the readathoners in spirit if not entirely in practice! 2) Which book in your stack are you most looking forward to? 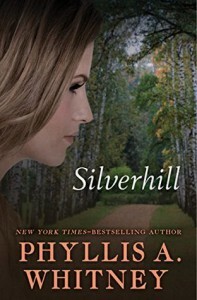 I don't really have a stack today, but I am looking forward to Silverhill by Phyllis Whitney, which is next up on my TBR. 3) Which snack are you most looking forward to? Again, no planned snacks today - but I will be taking my son to Starbucks once he gets up for his free birthday drink, and I might spring for a chocolate croissant! 4) Tell us a little something about yourself! I am drinking my coffee from a Minnie Mouse mug. 5) If you participated in the last read-a-thon, what’s one thing you’ll do different today? If this is your first read-a-thon, what are you most looking forward to? I generally only fully participate in the fall readathons for some reason. I am just going to read until I don't want to read anymore! This collaborative mystery is not to be taken seriously. While I got quite a kick out of it, it's a good thing that the members of The Detection Club didn't really make a habit of this - there are a total of three of these collaborative mysteries, each with a different spin. At the end of the day, this was really an over-complicated mess with a not particularly convincing solution. The Appendix does provide alternative solutions, with each author beyond Chapter 3 providing their own. 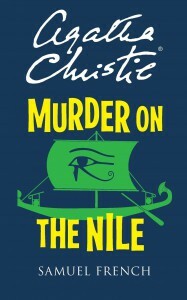 Christie's made me laugh out loud, it was so perfectly Agatha Christie. 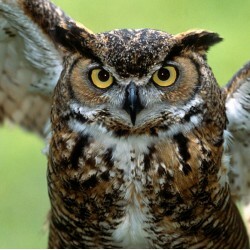 The others were entertaining as well, albeit a bit long-winded. I'm glad I read it, but once was enough. This isn't a book with significant rereading potential. Reading progress update: I've read 222 out of 309 pages. All right - I'm into the Berkeley chapter, titled: Clearing Up The Mess. Color me skeptical that the mess will really be cleared up! I really wanted to finish last night, but I couldn't stay awake. I am 40 chapters from the "end," and then there are 44 pages of appendices where the various possible solutions are revealed to us. I am massively enjoying this extraordinarily quirky little mystery and I hope that my sense that the authors are having a blast is accurate because it certainly feels that way to me. My copy has the tag line "The Most Unusual Mystery Ever Written," and I would say that, while hyperbolic, there's a fair argument to be made that it's accurate! Reading progress update: I've read 115 out of 309 pages. Just finished the very long and intriguing Dorothy Sayers chapter! I am not going to lie - I have no idea what is going on with all of these crazy clues! Reading progress update: I've read 50 out of 309 pages. I have made zero progress - family was over last night and socializing was required! Hopefully I'll be able to read a bit more over my lunch hour today! The prologue is very confusing, although I'm sure it will make more sense as the tale develops - the connection to Hong Kong is obscure at best at this point. The prologue was written last. 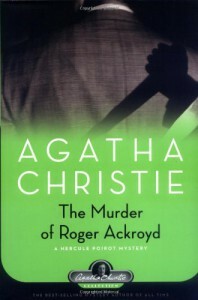 I've finished the first three chapters as well, and am moving into Agatha Christie's chapter. So far, the experience of reading has been amusing, if a bit disjointed. It reminds me of a parlor game - each chapter ends with a bit of a cliff-hanger, and then the new author takes the story off in a new direction. The early authors definitely had the easier task, since they are working with a largely blank canvas, as opposed to the later authors who have to keep in mind all of the clues and characters that have been sprinkled liberally about in the preceding chapters.